WOW! Last year we played 5 films that are nominated for Academy Awards this year! We’re proud to be part of these films’ journeys so far and wish them luck on February 24th! We were also honored to host nominees David Rabinowitz (co-writer BlackKklansman) and Nicole Holofcener (co-writer Can You Ever Forgive Me?) at last year’s Writers Conference. 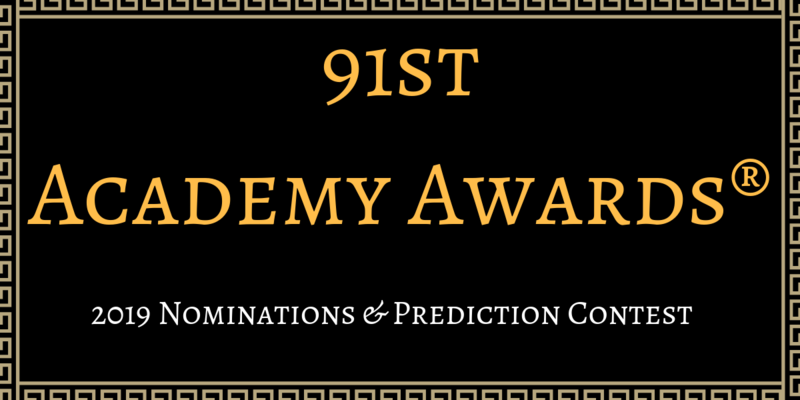 Try your luck at predicting the 91st Annual Academy Award® winners with AFF’s Oscar Prediction Contest! Austin Film Festival is the place to get your Oscars fix in October. If you attended the 2018 Festival and Conference, you had a chance to see some of the nominees before anyone else! AFF Film nominations include The Favourite, Green Book, Shoplifters, and short film One Small Step which all screened at the 25th Austin Film Festival last October. The top five entrants who most closely predict the winners of the categories below will each win one Lone Star Badge to the 2019 Austin Film Festival and Conference. The contest is now closed. Ballots limited to one entry per person, many will enter, five will win.